Whether it be glow-in-the-dark or reflective materials, illuminating sneakers seem to be all the rage right now in the running community. Never one to miss out on the trends, Lululemon is putting out a line of men&apos;s reflective gear to go along with you nocturnal-friendly shoes. 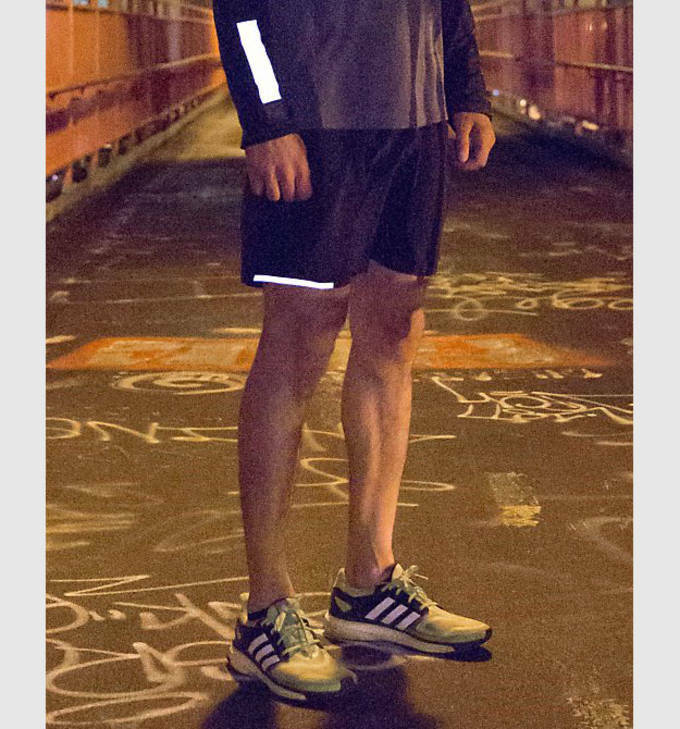 When you hear reflective gear, you don&apos;t exactly think aesthetically pleasing. But with their new line of workout apparel, Lululemon has achieved just that, presenting you reflective options that you&apos;d actually want to wear. Standing out the most from the collection, is Lululemon&apos;s reflective tights for men. 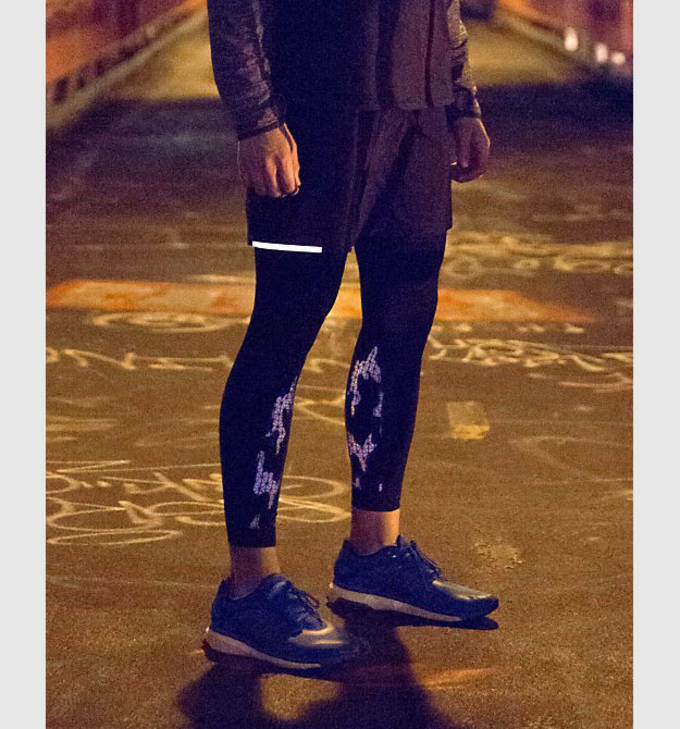 However, for those of you not quite comfortable enough with wearing meggings, Lululemon is also offering a reflective short. 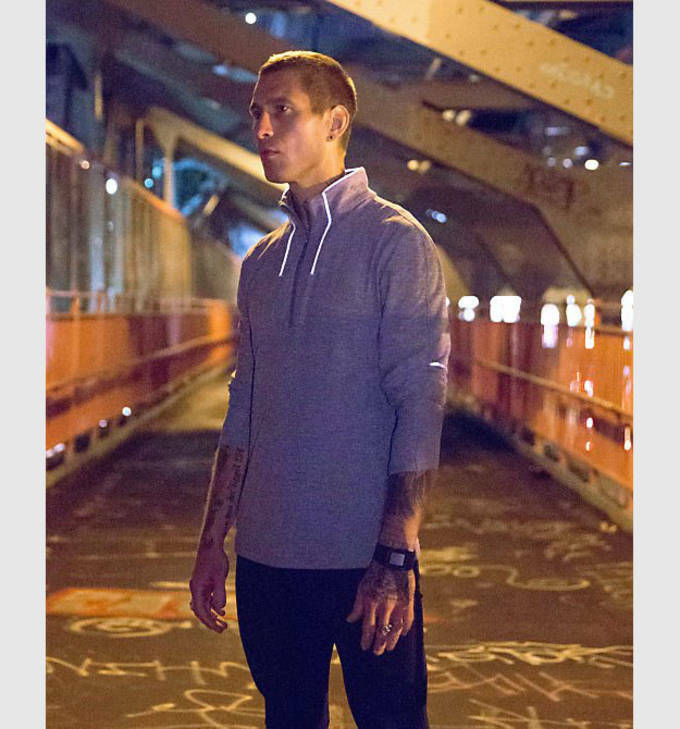 Capping off the collection is an assortment of reflective 1/2 zip tops for your early morning and late night runs. Check out some images from the collection below and head over to Lululemon to check out the entire reflective line. RELATED: Who Says Sweatpants Aren&apos;t Formal?